Hiya lovelies!!! 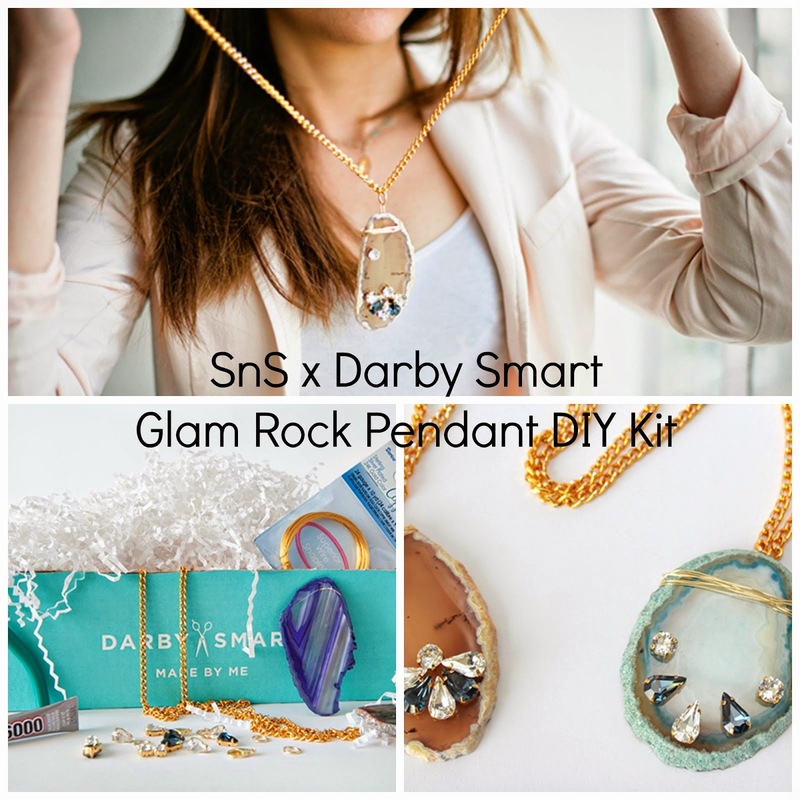 I got yet ANOTHER Jewelmint package this week and wanted to share it with you all!!! Finally, I reaalllllyyyy would love your feedback on the issue I talk about in the vlog. Thanks guys!!!! I love this because it's a white outfit with pops of neon! LOVE! These wedges are amazing. They are suede straps, and the color seriously just blends in to my skin tone. Isn't it ridiculous?? Plus, they were on clearance at TJ Maxx for $39. I almost peed. The original price was like $140 or something. IN-SANE. Have a great weekend lovelies!! Hiya lovelies!!! I received TWO packages from Jewelmint in today's mail, and I thought I would share my pieces with you! If you aren't a member yet, no fear, click here! I'm super sorry for the poor video quality using the webcam on my computer. Next video I'll make sure is so much better, promise!!! Let me know what you think! Knot the thread onto the hoop and secure with clear nail polish. Then begin wrapping around. I wrapped 8 times then added a bead. However, I could have spaced them out a little more. To add a bead, simply thread the bead onto the floss and hold it in place on the earring while continuing to wrap the thread around. Keep going the whole way around, then knot the thread on when done, securing with clear nail polish. I really like how these turned out, and from a distance, they look as though they are studded. I love this design, and haven't seen anything like it anywhere yet, have you? If you decide to make these, please send me a pic!! What do you think of my pool-going look? Hello lovelies!! I thought I'd share my new fave outfit for yall! Hello lovelies! I had to share this outfit, which surprisingly cost very very little! It's so comfy and on trend for this summer! I got the silk Banana Republic tunic at a thrift store for $6 and the shorts from Walmart for $10. Holla. Ahhhh it's Friday!!! YAY! I love Fridays. The work week is almost done, the weekend is practically upon us, and we can wear pretty much whatever we want to work. Usually, everyone dresses down like a slob in jeans, dirty sneakers, and the cliche t-shirt. Yuck. I'll rock that, sure, if I'm doing yardwork or something like that. I try to still wear something I'd wear any other day, but maybe it's a bit more casual due to the fabric or something. So today I'm wearing this jersey maxi dress by OP from Walmart. It's one of my fave dresses right now, and I think I paid like $15 for it. Of course since it's strapless, I'm wearing a plain white cardi over it. I've paired it with some Miss Trish of Capri sandals, turquoise jewelry, hot pink lips, and my awesome purple Eco nerd chic glasses. These are so rad, they are made of recycled materials, they plant a tree when you buy them, and they look great! What are you up to this weekend? We are going camping tomorrow, so I am trying to come up with my lists now, so I can do all the shopping and gathering tonight. I am so excited! Have a fabulous Friday, lovelies!! 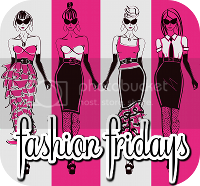 Don't forget to link up to Blonde Episodes' Fashion Fridays!! I love these Disney Couture earrings. I love skulls, and coupling that with the embroidery floss wrapped hoop makes for the worlds most perfectest earrings ever. Now at $48, they are definitely affordable. However, I'm not going to spend that much when I can make it for nada using materials I already have! I really apologize for not taking pics of the actual process, but I used four different colors of embroidery floss, about a yard of each per earring, a pair of plain hoop earrings, some plastic skull beads, and gold spray paint. I spray painted the beads with 2 coats, they maybe could have used 3. The process for the earrings is the same as for my Anthropologie Swathed Hoops inspired earrings. I pretty much just eyeballed a quarter of the way around for each color, then knotted in the next color, trimming the ends. When I was about halfway through with the third color (green), I threaded the bead onto the embroidery floss and then onto the earring, then resumed knotting the floss around the hoop. This was a very easy project, and there are so many possible variations! Wow, there are so many trends running rampant this summer. 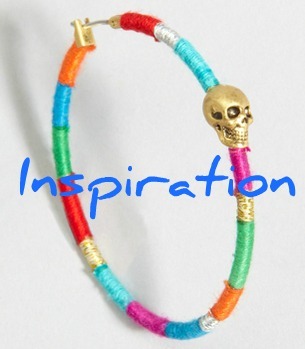 I think that the most common thread shared by most is COLOR!! Color is everywhere!! 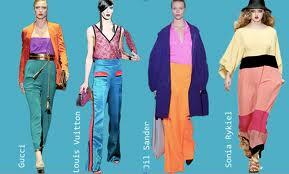 From orange and pink colorblocking to neon accessories to yellow nails, it's safe to say that Summer 2011 trends are not for wallflowers. It's notice me, in your face color! It's you-can-see-me-coming-from-2-blocks-away color! In all shapes and sizes, everything is colorful. From bodycon minis to full on maxis, oversized tees to barely there camis and everything in between, there are no rules. Maybe keep in mind proportion and silhouette, always a good idea. A bright orange fitted tee tucked into a neon pink maxi skirt? Yes please! A bright pink slouchy oversized tee with structured bottoms? Done. Even shoes aren't for the color-phobic. Is that a real phobia? (Eeeek, yep and it's called chromophobia). Brightly hued coral heels are now a summer staple for me. Gorgeous cobalt, even lemony yellow heels are showing up on the most haute fashionistas. This amazing trend has even found its way into beauty. That's right. 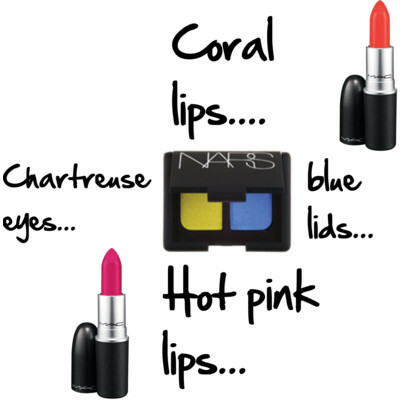 Bright blue lids paired with coral lips? Absolutely! Lime green lined eyes? Magenta pout? Yes and yes! Don't be afraid to pair bright lips with bright eyes. It's okay to break the carnal rule of one or the other but not both. The key here is moderation. Try a sheer sweep of turquoise on unlined eyes, a single coat of mascara paired with a bright coral lipstick and matching gloss. 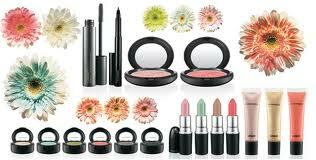 Or bright green lids and lime rimmed eyes paired with a sheer pink wash on lips. It will go perfectly with that breezy maxi and tank you're rocking with those wedges! Let the color drip down.... to your fingers and toes! 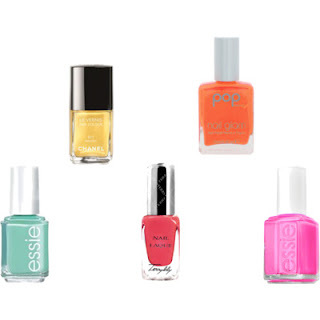 Turquoise, chartreuse, buttery yellow, coral, orange, hot pink. If you're afraid to put too much commitment into a trend you feel won't be around long, spend a few bucks at the local drugstore on some bright hues for your digits! Toss on a statement necklace and some bangles and you're good to go! For those without endless funds or a home to refinance, it can also be done frugally! I picked up this ON-SPOT vintage Hawaiian dress at the local thrift store a few weeks ago for $3. No joke! The fabulous thing about brights is that thrift and vintage stores are LOADED with them. Think 80s neon and colorblocking, 60s mod, 70s boho. Mix that all together in a blender and you're left with Summer 11. So where do you stand? Are you chromophobic? 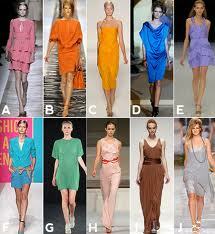 Or are you loving and embracing this trend?